Interestingly enough the first quotation is actually a deliberate mis-quote by Poe at the outset of his short story A descent into the Maelström. Glanville's Essays on Several Important Subjects in Philosophy and Religion acts as a rather dramatic backdrop by which natural acts can be seen to be magnified to such an extent that divinity becomes the only suitable metaphor and/or explanation for them. The storm in question was of a magnitude to impress upon the author's subconscious, religious referential coordinates with which to understand the event. The second quotation has a far more disturbing quality to it as it relates to the turmoil prevalent within Usher's mind. A tempestuous and inevitable insanity that immediately brings to mind Plath's Bell Jar. All of these thoughts swirl about in my own mind when I see my mother's paintings. Sensually disturbing and highly provocative they prod me to consider what lays behind and beyond them. Certainly as a composer, published by the house of Ricordi (famous since the time of Verdi and Puccini et al), I am attracted to the musical references that she draws upon and appears to use as her own personal space-time coordinates for a happy and productive existence. Yet, I return to Poe for there remains an ethereal quality to them all that can best be captured within the word 'spectral'. As a musician I appreciate their professionalism. Be it a subconscious respect for classical 'golden section' techniques within a formalist perspective, or the well defined layering of background, middle ground and foreground coupled with a decorative style reminiscent of baroque overtones. Furthermore, as a professional I applaud only naturalness which I find them to exhibit in abundance. Yet still they continue to provoke me. She is my mother. Should she really have a depth to her that intuitively comprehends the horror of our modern psychology? As a son I pray that all insight is not born of lived experience. Although thoughts and sensations are not of themselves concrete, they remain very real for those who have them and store them away in memory as tangible experience and referential material. All of her works bring to mind the Mediterranean of Lorca, the gothic of Poe, the baroque of Bach and the effortless classicism of Mozart. Swirling, spectral images juxtaposed and through-composed easily bring to mind the disparate qualities of Stravinsky's Rite of Spring and the more languid moments of lapsed tension in Debussy's Jeux. It has always been a dangerous game to play, interdisciplinary metaphors. But it remains for me an enjoyable one with only one winner! Freud and Jung converge within the mental labyrinth to offer their own reference points but between those who have shared the familial growing up process from different perspectives subjectivity becomes its own guessing game. Munch's Scream becomes a ghastly reference point for one barbed wire, bandaged figure which could relate to anything from personal despair to a comment upon Alberto Giacometti's existential style of displaying life en passant. However the difference seems to me instead that my mothers paintings are photo flashes of existential reality caught just before or just after an event rather than during the event itself. In short, they are simultaneously anticipatory and commentary. Past and Future with no relative Present. For this I term them spectral. They manipulate time through the negation of a present reference point, and as such skip along as a nerve impulse down a myelin sheath. They have a true quantum character and would no doubt have satisfied Democritus to boot! 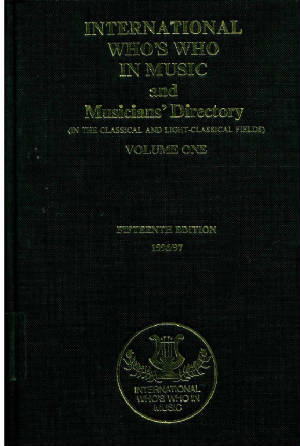 Following years of study and experience in a variety of disciplines Marion's son has had works published in both the musical and scientific/spiritual spheres. 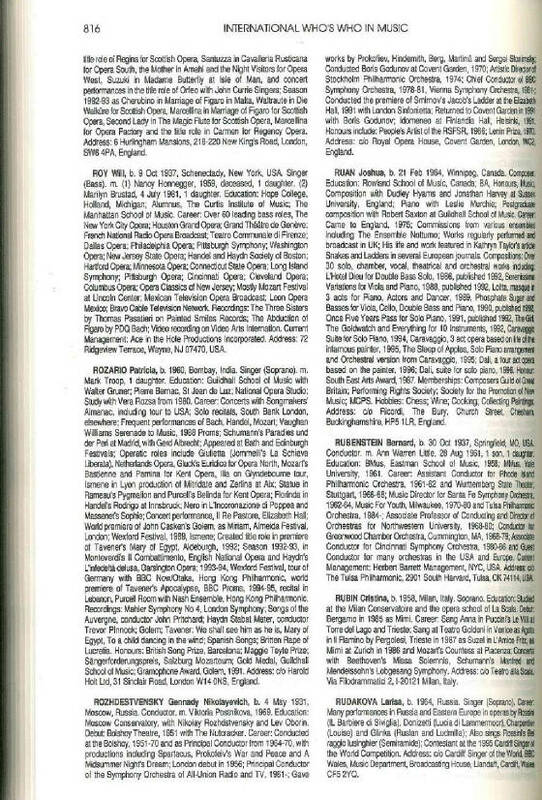 He was the youngest contemporary classical composer signed to Ricordi in 1992 and the Lorca commission received 24 performances in one month in England alone before going on to tour Spain. The work was commissioned by Repsol Oil for the production and was produced under the direction of 'Cirque du Soleil'. As you may recall, I dropped by a few weeks ago to view your show, by the way which I enjoyed. I especially liked the work with the cascade of violins on the right side of the gallery near the visitor's book. Congratulations on the show. I must have seemed rude for departing without imparting a word but I was actually on my way to the airport and rather concentrated on my itinerary. So please excuse my abrupt visit. I have just returned only days ago and am in the process of catching up with things, one of which is to congratulate you on your show. By way of note: the painting which Ken refers to is owned by Roland and Lisa Marie Von Suchy, treasured friends and patrons of Marion's work. Marion Harding's work is full of layered transparencies, inviting a movement into the texture of music. The painting "Firebird" portrays all of the various themes of that concerto, while "Ventian Vespers", a small green and gold painting is virtually haunted with the paeans of sombre holy music. 'The Music of Painting: Music, Modernism and the Visual Arts from the Romantics to John Cage'- Peter Vergo: ISBN-13: 9780714857626, Phaidon Press Ltd (19 Sep 2010). 'Rome' - Robert Hughes: ISBN-13: 9780297844648, Orion Publishing Group, (June 2011). 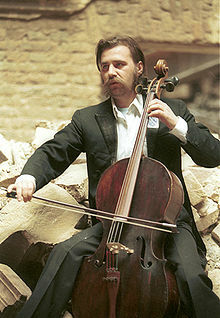 'The Cellist Of Sarajevo' - Steven Galloway: ISBN-13: 9781843547419, Atlantic Books, (1 Jan 2009). 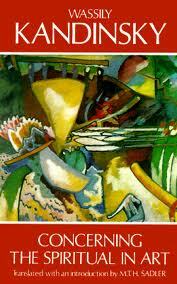 'Concerning the Spiritual in Art' - Wassily Kandinsky: ISBN-13: 9780486234113, Dover Publications; Revised edition (June 1, 1977). 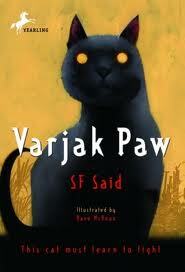 'Varjak Paw' - S.F. Said: ISBN-13: 9780552548182, Corgi Childrens; New edition edition (3 Jun 2004). 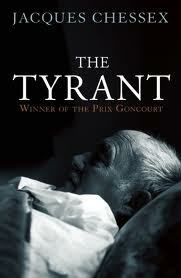 The Tyrant - Jacques Chessex, (trans. Martin Sokolinsky), Bitter Lemon Press, London, (UK, 2012) - ISBN: 978-1904738947. First published in (France, 1973)- L'Ogre, Grasset and Fasquelle. We - Yevgeny Zamtayin, Penguin Books, 1993. Translated by Clarence Brown, ISBN: 9780140185850.